Some registrations have been in circulation since the early 1900's. With over 100 years worth of history behind them, these are truly cherished items. What does cherished number plate mean? A cherished number plate is one that describes a desirable number plate. Often it is used interchangeably when talking about 'dateless' plates as these were issued before 1963. The term 'cherished' was coined because for these registrations to remain in circulation for so long (some since 1903), their ownership had to be passed along - sometimes the same registration remaining in a particular family, sometimes on classic vehicles that required great care and attention to be maintained to roadworthy standards. Perhaps the best example of a cherished number plate is the legendary A 1 plate. 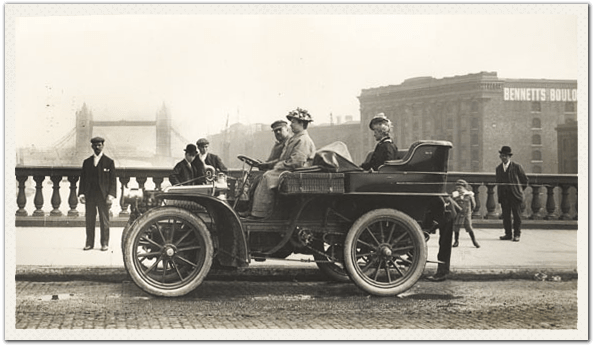 Secured by Earl Russell, who queued outside the London county council office in 1903 to acquire the plate for his Napier, the Earl apparently sat up all night to be the first in the queue and successfully beat his nearest rival by just seconds to claim the reg. Later in the mark's history it was acquired by the chairman of London county council; then in 1907, Mr. George Pettyt purchased the car together with the cherished plate. A 1 was then subsequently transferred onto all Mr Pettyt's new vehicles in turn. When Mr Pettyt died in 1950, the plate was on a Sunbeam Talbot, which was left to a Mr. Laker in the will. However, there was the stipulation that Mr. Laker should retain the cherished number plate until his death and, despite many offers, this was adhered to. In 1970 upon Mr. Laker's death, Dunlop purchased the mark and donated £2,500 to the Guide Dogs for the Blind Service as Mr. Laker had stated it was his wish for the money from the sale of A 1 to be donated to a dog's charity. Sometime in the early 2000's A 1 changed hands again, this time becoming owned by Prince Jefri Bolkiah (a member of the Brunei Royal Family), and paired with equally legendary 1 A to be displayed on a pair of matching white Bentley Azures. Quite the history! What figure the plates changed hands for this time is not clear, but 1 A initially sold at the very first classic DVLA auction back in 1989 for £160,000 on the hammer! How to transfer cherished number plates? Cherished number plates exist in two states - either on a certificate of entitlement (that shows you as the legal owner), or on a vehicle. You can transfer a cherished plate from a vehicle to a certificate, or vice versa. A DVLA fee of £80 is payable to make a registration 'transferable'. You can perform a transfer online or via the post - you will require the V5C log book for any vehicles involved (the vehicles must be taxed and tested), and any certificate must be valid and not expired. If you remove a registration from a vehicle (either to a certificate or to another vehicle) the vehicle will receive another registration mark to take it's place. This will typically be the original registration the vehicle had before it was given a cherished number, or a random reg of suitable age for the vehicle. How to sell cherished number plates? Request a FREE online valuation - to find out what the number plate may be worth. Accept or modify the suggested price to a figure you are happy to sell for. We begin advertising your registration to find you a buyer. Once we have a buyer we handle the transfer and you get paid the price you agreed to sell for - no deductions, the buyer pays all transfer costs. 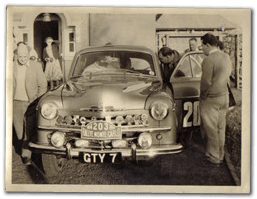 Another interesting example came from a customer of ours, Philip Walton of Newcastle-upon-Tyne who provided us with lots of interesting information about his late fathers car. Mr. Walton sent us photographs and magazine articles about his father's career as a well-known rally driver in the 1950's and early '60's. He entered the Monte Carlo rally about twelve times in addition to other events such as the RAC rally and Dutch July rally. His cherished number plate, GTY 7, seemed to bring him a lot of luck so he decided to keep it. A cherished plate is often viewed more like an antique, and can become very sought after by particular collectors or investors. All the motorcycles were works of art in their own right - absolutely beautiful. Such reg numbers as those listed above deserve the term 'cherished number plates' as they are as antique as a Chippendale chair. Although cherished registrations with history such as these often command high prices, you do not have to spend lots of money to acquire a number plate significant to you in some way. At National Numbers we have been successfully guiding clients through the transfer process for more than 38 years. We are a quality award winning company and, obviously, have bags of experience. We are also very friendly so, if your search for a personal registration plate for you to cherish isn't turning up what you'd hoped, please do give us a call on 01642 363738. 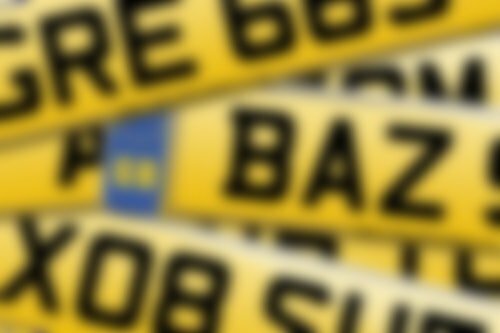 The best place to start your journey to finding your perfect personalised number plate! Our search engine will match your name, initials, important numbers... anything! National Numbers are members of the RMI backed Cherished Numbers Dealers Association (CNDA), so you can be sure of an exceptional standard of service. We offer a FREE valuation & listing service that allows you to advertise your registration for sale at no cost to yourself.